Provo City Council: A legislative lobby -- in Provo? The issue of lobbyists is longstanding, and divided between those who view them as essential to democracy and those who eschew lobbyists as a curse on the process. Recently, a novel approach to lobbying — the People’s Lobby — took flight for the first time in Provo. The concept is the brainchild of Dr. Jeff Swift, a BYU graduate, whose subsequently published doctoral dissertation at North Carolina State University described both the concept and its implementation as a means for citizens — the people — to experience grassroots lobbying first-hand. The Provo City People’s Lobby is a scaling back of Swift’s vision of a statewide, citizen-driven legislative initiative to a municipality-sized version. In the former, the state legislature agrees to consider legislative proposals from the People’s Lobby in the course of a formal session. In the Provo version, the Municipal Council agreed to consider proposals from the People’s Lobby in the course of its regular legislative activity. Ordinarily, proposals originate with the city administration or council committees. The People’s Lobby offers a direct, citizen-driven path to the council’s legislative agenda. The initial People’s Lobby took shape in April following public recruitment of members (via news and social media). The intent was to recruit two or more interested persons from each of Provo’s 32 officially designated neighborhoods. Ultimately, more than 100 residents applied, representing 24 neighborhoods. Membership in the Lobby was determined by random drawing from the pool of applicants, resulting in a 24-member body. Its deliberations occurred entirely online over a three-week period and were overseen by a two-member team of political science students specially trained as facilitators by BYU professor Chris Karpowitz. Dr. Swift generously consulted to the project, thereby assuring its fidelity to the People’s Lobby concept. The Lobby passed through three phases once membership was established: identification and selection of the issue(s) for consideration; deliberation and a final decision; and presentation of that decision to the Municipal Council. The latter occurred in June and was not a formal legislative proposal per se, but rather a formal recommendation that the council consider preparation and adoption of a policy providing for the preservation of arable land on the city’s west side. The People’s Lobby will convene again in September, this time with entirely new membership, as immediate past members are not eligible for consecutive terms. There are no prerequisites aside from residence in Provo, interest and availability. Those selected for the Fall Lobby will be asked to read and consider materials provided by the facilitators and Lobby members as part of their deliberations. The Municipal Council staff will be available to convert the Lobby’s eventual decision into a formal legislative document should the Lobby request such in preparation for its report to the council in late October or mid-November. 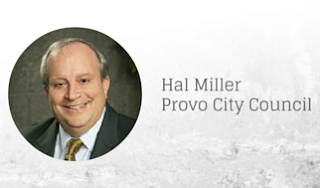 The future of the Provo City People’s Lobby will depend on the Municipal Council’s continued support of the concept and on available funding, preferably not from the city’s General Fund. An anonymous, private donor provided funding for the first two lobbies. Future funding sufficient to establish an endowment for the perpetuation of the People’s Lobby may come from grants and crowdfunding. To join the Lobby, including submitting and voting on issues for the Lobby’s consideration, go to provopeopleslobby.com.